Recently launched by Belizzimo, Mugshot Booth allows users to turn their friends, family and colleagues into virtual police suspects - complete with tattoos, scars and a beat-up look. 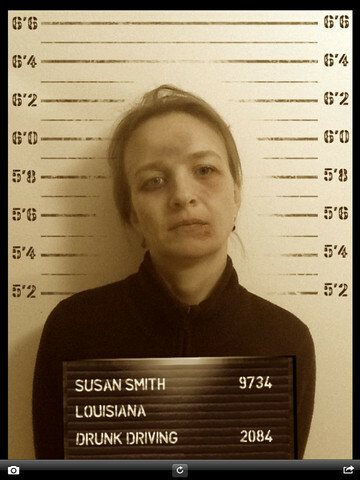 Mugshot Booth allows users to virtually create such finest moments for their friends and colleagues - including the specific crime committed - with realistic and hilarious results. Belizzimo are asking virtual police suspects around the world to ‘Say cheese!‘ as iOS users create realistic and hilarious mugshot photographs of their friends, family and colleagues in the recently launched Mugshot Booth - a universal app for iPhone and iPad that offers a quick-and-easy process to turn even the most innocent face into a felon. User are first prompted to enter the name, location and crime details for the virtual suspect. Once entered they are then requested to locate the suspect and take a photograph, during which custom image scanning techniques recognise when a person is within range and an on-screen guide help ensure the photograph is correctly aligned, for perfect results each time. 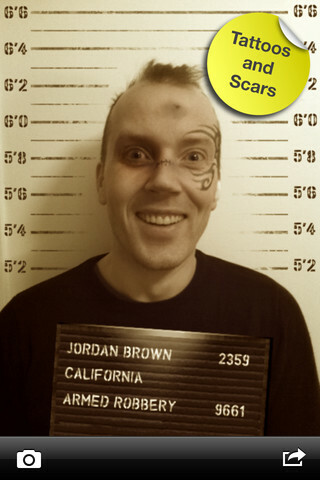 Once the suspect is snapped a quick shake of the device will add different effects to the photograph - tattoos, scars and a beat-up look - creating a unique and realistic mugshot with each use. 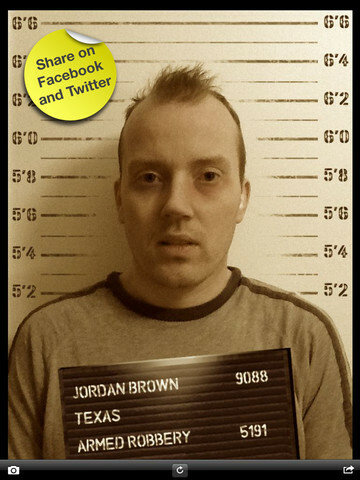 Designed to be easy-to-use for iOS users of all ages the possible uses of Mugshot Booth are vast. Want to play a prank on mom? Create a virtual past for a work colleague? Or recreate a friends real-life experience? Within a few minutes a mugshot can be created to match any scenario and results can be saved to the users device or easily shared on social networks. For more information or media inquiries, contact Mark Johnson of appshout! on behalf of Belizzimo at +1 408 757 0086 or press (at) myappshout (dot) com. Belizzimo is a software development house focusing on application development for mobile phones, tablets and other portable platforms using Apples iOS and Googles Android operating systems. The Belizzimo edge is a potent blend of software developers, graphical and industrial designers and creative talent pooling their resources. The team behind Belizzimo has been developing mobile applications since 2009 which in this industry is a very long time and thus gives us vast amounts of experience to build on. Our home is a rocky North Atlantic island called Iceland, home to amongst other things puffins, whales and volcanos. This land of the northern lights and midnight sun we find ideally suited for application development. Why you may ask? Because with the frost, the snow and the long winter nights nothing beats snuggling up with a cup of coffee and a warm blanket and to code like the wind.